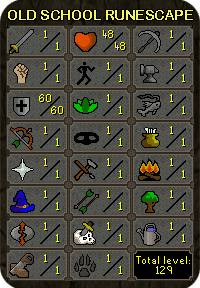 You can purchase it as a backorder, meaning we can level these skills on a fresh account that we provide. All matterials and resources (Membership & Gold) for the training are covered by us. Estimated time for delivery: 10 to 19 days min-max. NOTE: Please if you buy this account as a backorder or a normal instant purchase, contact one of our live chat agents, with the order number, so the rest of the information can be exchanged.